USPA NEWS - Unemployment in the Occupied Palestinian Territory rose to more than 27 per cent – the highest rate in the world – while per head income declined and agricultural production contracted by 11 per cent, as socioeconomic conditions in the past year worsened, according the latest UNCTAD annual report on its assistance to the Palestinian people. The report also notes that the adverse conditions imposed by Israeli occupation disproportionately affected women and young people. The report warns that declining donor support, a freeze in the reconstruction of Gaza and unsustainable, credit-financed public and private consumption paint a bleak picture for future growth. Prospects for the Palestinian economy are further clouded by the ongoing confiscation of land and natural resources by the occupying Power. 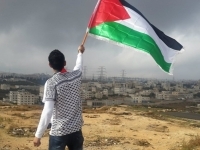 “Under international law, Israel and the international community have responsibilities not only to avoid actions that impede development but to take affirmative steps to foster development in the Occupied Palestinian Territory,” said Mahmoud Elkhafif, Coordinator of the UNCTAD Assistance to the Palestinian People Unit. However, Israel has failed to ease restrictions and donor support has declined steeply to one third of its 2008 level. In 2017 and early 2018, construction of settlements accelerated, despite United Nations General Assembly resolution A/ES-10/19 of 21 December 2017, in which the General Assembly “affirms that any decisions and actions which purport to have altered the character, status or demographic composition of the Holy City of Jerusalem have no legal effect, are null and void and must be rescinded in compliance with relevant resolutions of the Security Council”. The report highlights evidence of incremental annexation of large parts of the West Bank that includes the transfer of Israeli population into settlements, the forcing out of the Palestinian population, investment of more than $19 billion in the construction of settlements, extending Israeli domestic legal jurisdiction to settlers and the proliferation of economic, social, political and administrative measures that deepen the integration of settlements into the Israeli State system. With the blockade now in its eleventh year, the Gaza Strip has been reduced to a humanitarian case of profound suffering and aid dependency, the report says. The productive capacity of Gaza has been eviscerated by three major military operations and a crippling air, sea and land blockade. The 2008–2009 Israeli military operation erased more than 60 per cent of Gaza’s total stock of productive capital, and the 2014 strike destroyed 85 per cent of what was left. Destroyed productive assets include roads, power stations, industrial and commercial establishments and agricultural land, as well as other infrastructure and related assets. In 2012, the United Nations warned that unless ongoing trends were reversed, Gaza would become uninhabitable – unfit for humans to live in – by 2020. Since then, the report says, all socioeconomic indicators have deteriorated and conditions in Gaza are now worse. Efforts at revival have been feeble and focused on humanitarian relief, the report says. This leaves few resources for development and resuscitation of the productive economy. Gaza’s present real income per head is 30 per cent lower than at the turn of the century. Poverty and food insecurity are widespread, even though 80 per cent of the people receive social assistance. Furthermore, Gaza’s longstanding electricity crisis has deepened. In early 2018, households received, on average, two hours of electricity a day and shortages continue to seriously impact everyday life by crippling productive activities and impeding delivery of basic services. The enduring deprivation of basic economic, social and human rights inflicts a heavy toll on Gaza’s psychological and social fabric, as manifested by the widespread incidence of post-traumatic stress disorder and high suicide rates. In 2017, for example, 225,000 children, or more than 10 per cent of the total population, required psychosocial support. The UNCTAD report states that to ensure a sustainable recovery, it is necessary to lift the Israeli blockade completely, reunify Gaza and the West Bank economically and overcome the energy crisis as a matter of priority by, among other things, enabling the Palestinian National Authority to develop the offshore natural gas fields in the Mediterranean Sea discovered in the 1990s. Israeli restrictions on Palestinian trade include the dual-use list, which does not allow Palestinians to import a wide range of civilian goods that might have potential military application, the report says. The list includes essential production inputs such as civilian machinery, spare parts, fertilizers, chemicals, medical equipment, appliances, telecommunication equipment, metal, steel pipes, milling machines, optical equipment and navigation aids. This ban imposes heavy economic costs and exacerbates conflict and political instability by undermining the employment, wages and the livelihood of the Palestinian people. Simply removing Israeli restrictions on Palestinian trade and investment could allow the territory’s economy to grow by up to 10 per cent, while the status quo can only ensure the continuation of depression-level unemployment and extreme poverty, the report warns. The UNCTAD report highlights the deleterious effects of the customs union established in 1967 and formalized by the Paris Protocol in 1994 under which free trade prevails between Israel and the Occupied Palestinian Territory and the two economies share the same external tariffs on trade with the rest of the world. The customs union is inherently flawed because of the structural differences between the two economies and their vastly different levels of economic development. The outcomes of this union are made worse by the absence of cooperation and the selective, unilateral setting and application of its terms by Israel. Effectively, the Occupied Palestinian Territory is isolated from the more competitive global markets, which in turn fosters an extremely high level of a trade diversion towards Israel, the report says. Analysis shows that, between 1972 and 2017, Israel absorbed 79 per cent of total Palestinian exports and accounted for 81 per cent of Palestinian imports. 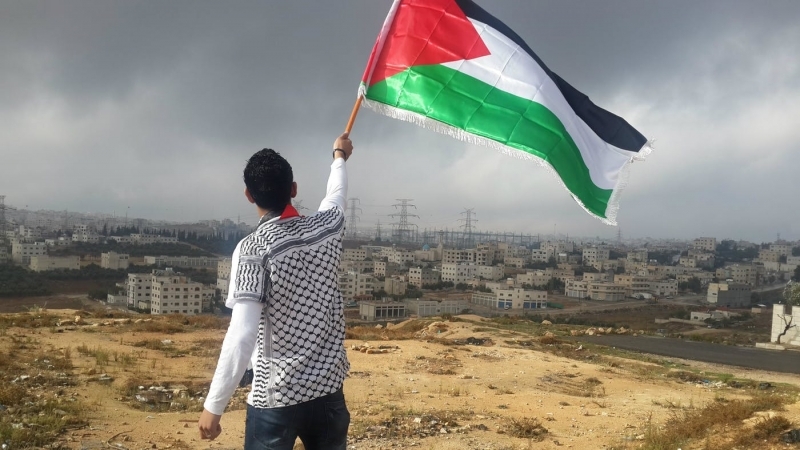 To break the cycle of dispossession and de-development, the UNCTAD report recommends replacing the outdated customs union by a new framework that guarantees the Palestinian National Authority full control over its customs territory, borders and trade and industrial policies. UNCTAD analysis indicates there is no evidence that the budget deficit of the Occupied Palestinian Territory causes the trade deficit, and further suggests that the two deficits are symptoms of a resource gap fostered by an occupation that cultivates dependence on transfers from abroad and forces Palestinian workers to seek employment outside the Occupied Palestinian Territory. UNCTAD argues that, under the present circumstances, policy prescriptions that call for further fiscal austerity could dampen growth and elevate unemployment without impacting the trade deficit. and add pressure to the already fragile socioeconomic and political conditions in the Occupied Palestinian Territory. In the past year, UNCTAD has continued to assist the Palestinian people by providing advisory services, research and policy papers, technical cooperation projects and capacity-building and training for Palestinian professionals from the public and private sectors.